13 October 2015Food, Fine Art and Fundraising at Kitchen W8! On Thursday 8th October, Ace Africa was the beneficiary of the Michelin starred restaurant Kitchen W8’s annual charitable dinner. We were absolutely thrilled that Ace Patron, Phil Howard, put Ace Africa forward and that it was elected by all the staff as the charity of 2015. The food and fundraising were both highly successful. A huge thank you to the whole team at Kitchen W8 including co-owners Rebecca Mascarenhas & Phil Howard, general manager David Chevalier and talented chef Mark Kempson. Diners were treated to a wonderful 6-course taster menu including Cornish sea bass with cepes and roast saddle of venison with bulgur wheat. The dinner has received rave reviews from everyone who attended. All proceeds from the dinner have been donated to Ace Africa. A number of activities took place to raise funds for our work. 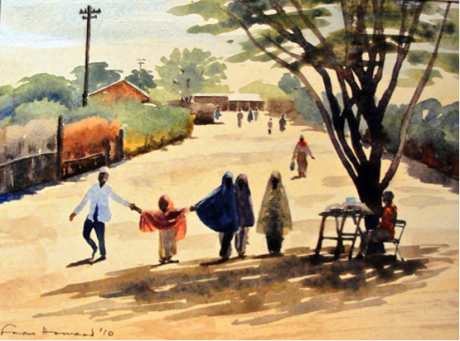 Ace Africa Trustee and Phil’s father, Fran Howard, hung a collection of his stunning watercolours in the restaurant for sale with a significant donation from proceeds going to Ace. Three money can’t buy auction lots were on offer and a private dinner party for 10 cooked at home by Mark Kempson was the highest lot of the night raising £3,000. The raffle gained a lot of enthusiasm from the 60 guests with some appetizing prizes up for grabs including stonking steaks and meals at some fine dining restaurants across the capital. We would like to express our heartfelt thanks to everyone involved who made this event such a success. We are thrilled to announce that the evening raised £15,456 for Ace Africa, which will ensure children and their communities have the chance for a healthier, happier and self-sufficient future. 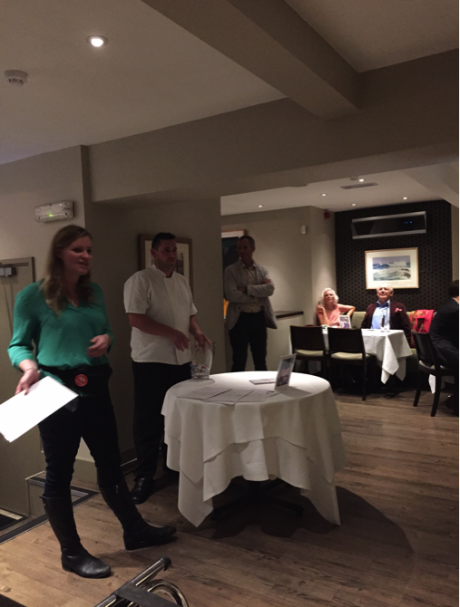 Lizzy Epsley announcing the raffle winners, along with Mark Kempson, Phil Howard, Fran and Lynn Howard.